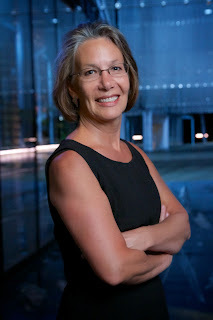 Melanie Ross, Seattle Opera’s Director of Artistic Operations and Season Planning, has worked for Seattle Opera since 1975. As the daughter of the founding general director, Glynn Ross, she has spent virtually her entire life immersed in the art form. When did you start working for Seattle Opera? I started as a receptionist back in 1975. Lloyd Yunker, the Finance and Development Director, hired me. He asked permission of my dad, who was OK with it as long as Lloyd was responsible for my salary and job performance. My dad didn’t want any allegations of nepotism. Later I started doing a lot of clerical support, and then I worked assisting in PR. Eventually, I found my way into production. I knew opera by exposure; sort of an ad hoc education. I grew up with it. When we were living in California, Dad was a gypsy stage director. He would come home for three to four weeks at a time and be fully available to us, and that, of course, was also his time to learn the next show. So whether it was the Ring or Lucia, we would learn the shows with him. We also hung with Dad at LA Conservatory (staying out of the way of course); conductors came for dinner and sat at the piano; we sat under the sewing machine backstage while Mom stitched; we were drafted for children’s roles in various operas...just a variety of experiences. Were you ever a Nibelung in the Ring? No, I was Trouble in Madama Butterfly a lot when I was a kid, and I was in Tosca as well, though Scarpia always scared the hell out of me. And when did you realize you wanted to be a part of making opera happen? I don’t think I did. I think it just evolved. I was always happiest here. I found that when a production worked out well and I felt I had a part in that success, it felt good. Do any productions stick out in your memory? My first complete Ring cycle in 1975 was the most memorable experience for me, as was our 1998 Tristan und Isolde. The 1970 Of Mice and Men, heartbreaking; Joan Sutherland as the four heroines in Hoffmann, delightful and wondrous; War and Peace, amazing; Sheri Greenawald in Florencia en el Amazonas was beautifully painful. There are just too many memorable productions and/or moments to consider. At the end of the first Ring cycle this year, Speight publicly recognized your mother for her contribution to the company. She ran the Costume Shop, correct? The costume shop was a very small operation back then. She was either the assistant designer (although there was no position until the later years) or the design coordinator. The costume designers would come in, and she would maintain the design aesthetic, doing what she could on a shoestring budget to present a show that was well clothed, tasteful, and appropriate to the period. Have the audience’s expectations of opera performance changed in the years that you’ve been with the company? Yes, the expectation for a complete dramatic experience is higher than it used to be, though no matter what you cannot sacrifice the music or vocals for a concept. Particularly with Seattle audiences, no matter the quality of the directing or the physical production, if the singer doesn’t sing well and with persuasion or the conducting is lacking, it’s not going to work. Your title is Director of Artistic Operations and Season Planning. What is involved in this role? I work with Speight and Kelly Tweeddale [Executive Director] on future planning in terms of programming, calendar, cost estimating, and assist—as we all do—on balancing the artistic vision with fiscal capacity. Right now I’m researching productions and rough-cutting possibilities for the future. I also arrange the contracts for directors, designers, choreographers, assistant directors— the creative team. Have you carried lessons from the way your father conducted business? He used to say, “Don’t come to me with a problem; come to me with three solutions.” What he really wanted was: think about it before it becomes a problem. So I would say I have a tendency to try to do that. This Staff Chat first appeared in Seattle Opera’s program for Daughter of the Regiment in October 2014.